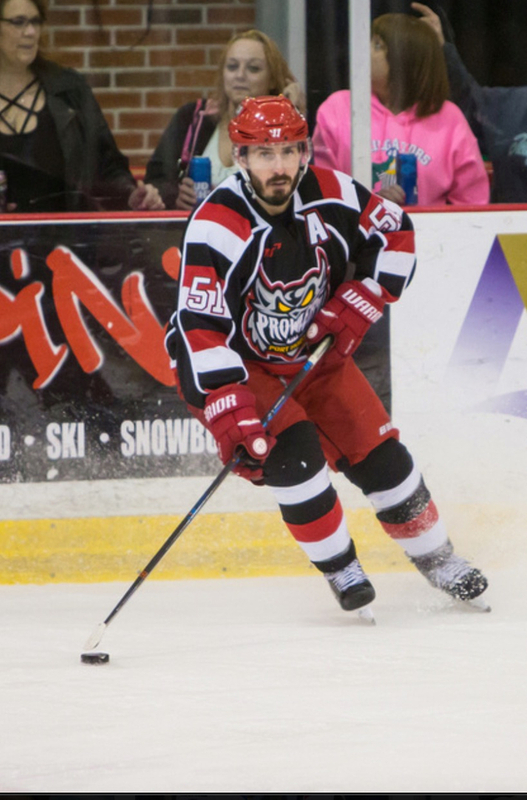 PORT HURON, MI – The Prowlers organization is happy to announce Matt Graham will be returning to wear #51 for the Prowlers for this upcoming season. Graham, heading into his 5th season of professional hockey, will also be taking on more responsibility with being named Player-Assistant Coach for the Prowlers. Graham earned his bachelor’s degree in Sports Management from Becker College in Massachusetts and has years of professional hockey experience in North America and Europe, making him a great choice to help lead the team. Graham is coming off a career high in points with 66 in 49 games for the Prowlers in the 2017-18 season. With an average of over a point per game in his professional and college careers, Graham will be one of the go-to guys on the Prowlers offense this season. The team is confident he will be one of the league’s top penalty killers, along with having a presence on the team’s power play. Your 2017-18 Regular Season Champion Prowlers will open up the season on the road in Carolina, but will return to Port Huron for their home opener November 9th against the Elmira Enforcers. Get your full season or individual game tickets by stopping by the McMorran box office or giving them a call at 810-985-6166.